If you have been hurt in a serious automobile accident as a result of another driver’s negligence, you are entitled to pursue fair compensation for your injuries. The Morrisville personal injury lawyers of Maginnis Law can assist you through all steps of the claim process, including negotiating with the at-fault driver’s automobile insurance company and, if necessary, filing suit and litigating your case. To speak with one of our lawyers, call our office at 919.480.8526. The claim process typically begins by locating all available sources of insurance coverage and then making demand for compensation. This demand should usually only be made after you are aware of the full extent of your injuries. In most circumstances, you will only have one opportunity to settle with the insurance company. If you reach settlement before you know the full extent of your injuries, you may be left to pay for future expenses on your own. (4) Permanent disability and impairment. If the insurer is willing to offer a fair amount for these elements of your damages, your case can usually be resolved without filing suit. If the insurance company refuses to “play ball” and offers an unreasonably low amount, you may be forced to file suit. The Morrisville auto accident attorneys of Maginnis Law can guide your case through the court system. In many cases, once suit is filed the insurer’s offer will increase. If not, your case can be tried and a jury of your peers will determine the amount to which you are entitled. If you are interested in representation, Maginnis Law provides free consultations and evaluation for individuals involved in Morrisville car accidents. You will meet with actual attorneys, not paralegals or case managers (as you might at larger firms). We handle all auto cases on a contingency basis, so that you do not pay any attorneys’ fees until we resolve your case. 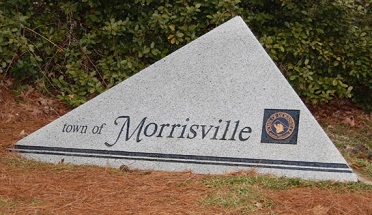 If you have been hurt in an car collision in or around Morrisville, North Carolina including on Interstate 40, contact attorney Shawn Howard at 919.480.8526 or Edward Maginnis at 919.526.0450. If you would like to an initial evaluation by email, please use our contact page.